It was the best of times. It was the worst of times. The sales had started and I was looking for a bargain at PC World and so was everyone else. Everything it seemed was half price but anything I might have wanted had already gone and while I gazed wistfully at the price tag on a fifteen inch iMac laptop, the full retail price of Microsoft Office 2004 for the Apple Macintosh swiftly brought me to my senses. What struck me most this year and more than at any other time in the past, was the number of senior citizens shopping for Personal Computers. It wasn’t so long ago that anyone over the age of fifty was a rare sight in any large computer store but this year, PC World in Canterbury, reminded me of my local Post Office on a Thursday morning but with queues for PCs, iPods and digital cameras instead of pensions. Overhearing many of the conversations around me, I wanted to stand on a printer box and shout at the shoppers to run while they still had the chance but it was too late, clever television advertising from companies like AOL had done its job too well and people really believed that Broadband runs at 512kb, that “Plug and Play” is just what it says on the box and that a Firewall will protect you from all that’s nasty on the Internet. It was also too late to save my in-laws from the reach of a new digital lifestyle. With an eye for a bargain, they had already snapped-up a Fujitsu Siemens PC and a Nikon digital camera. Add this to their wide screen Television and DVD player and they’re already on a par with me in total domestic processing power but unlike many others, they refuse to connect to the Internet, if only because they’re convinced that some invisible conman in Lagos will attempt to rob them of their life savings within an hour of them joining the growing ranks of silver surfers. 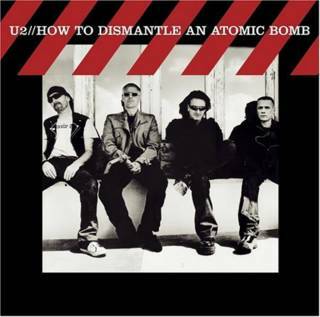 The rock band U2’s latest album has the title, “How to dismantle and Atomic Bomb”, and if you’re new to Windows XP and over fifty, the reverse is true. In this case, my ten-year old daughter and I are soon needed to help the grandparents assemble their new domestic Mainframe. Did you know, by way of example, that the Epson RX425 printer does not include a USB cable to connect it to a PC? I suppose we’re lucky that the company included a power cable at all but if you’re over sixty-five and trying to assemble your first computer and don’t know what a USB connection is, you might be a little lost wondering how on earth the printer communicates with the Personal Computer? “What’s that”, said my Father-in-law, when I offered him a USB stick. “It’s the 2004 Christmas photo album”, I replied. “How do I get them onto the PC?” he asked. Let’s be honest. Buying a Personal Computer for the first time is not like buying a TV or a DVD player. Both of these devices will frequently work with very little human intervention and some help from a willing ten-year-old but a PC or a Macintosh are very different and a mystery to most of us. We all know it to be true and yet the industry glosses over the challenges with slick and expensive advertising. Alright then, Granddad has bought his first Personal Computer and asked BT to turn on an ADSL connection through his phone line. He installs an anti-virus software package and then turns the machine on. What happens next? You and I both know that by the time both Windows and his anti-virus package have “live updated”, it could be too late and Granddad has now become an unwitting slave of the Russian Mafia, his Building Society account phished and his pension swiftly changed into Roubles. It’s not quite as bad as this I agree but if I wasn’t around to help, I have very little confidence that my in-laws could safely connect to the Internet without a “once over” check of their computer from someone more experienced than their next-door-neighbour. You see, three years ago, while the Internet was a strictly dial-up experience for the masses, it didn’t matter to anyone but yourself if the configuration of your PC was an absolute mess. Today, quite the opposite is true and in a Broadband society it’s the equivalent of passive smoking and yet PCs continue to be bought as a commodity, no different than a washing machine or a VCR player. With PCs now being sold for as little as £300 we can celebrate the arrival of full social emancipation within twenty five years of their first appearance, many times faster than the telephone or the television in the twentieth century. But progress may prove a little too fast if it’s offered without sensible attention to both security and responsibility. 2005 may be the year which sees a critical mass collision between the Internet and the Personal Computer but let’s also hope that it’s not the year that spawns the catastrophe that now obsesses the information security industry.